Christmas is coming again so it’s time to think about decorations and ornaments. 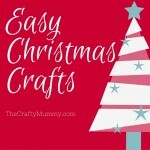 Easy Christmas crafts are definitley the way to go for a stress free season. It is so nice to have special projects to share with the family that you’ve made yourself. In fact, Christmas ornaments can be great gift ideas for teachers and workmates too. 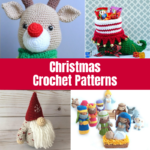 A couple of years ago I set up a special mailing list to share some of my best Christmas craft projects and tutorials. This year I’m revising these emails and you can sign up right now. You will get a series of emails straight to your inbox every couple of days with projects and inspiration. Then when you have time to craft, you will have all those ideas waiting for you!